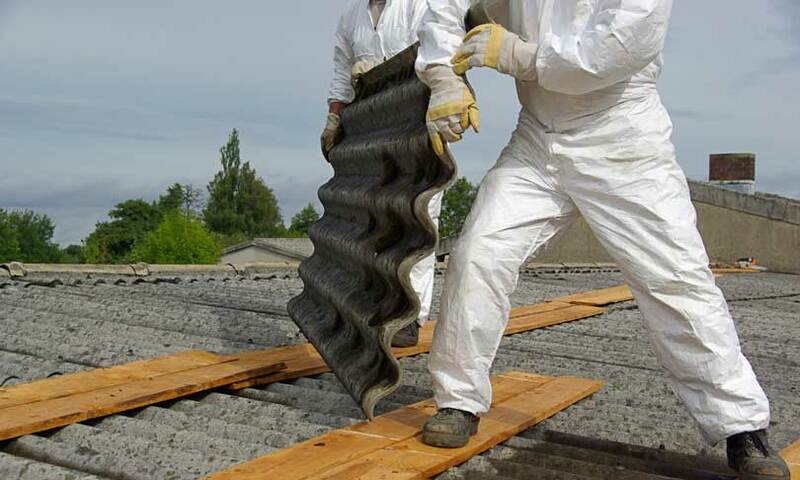 Since 1992, AQHI, Inc has served Southern California with dependable asbestos abatement and commercial clean-up. Our projects emphasize the safety of your building and all medical implications as a result of environmental hazards. Mold, lead, asbestos, and PCBs are common contaminants we have the experience and tools to remove. AQHI, Inc—call us or visit us online now. Are you concerned that asbestos may be present in your commercial or residential building? AQHI, Inc specializes in asbestos abatement, so please call us today for a free estimate. We’ll gladly discuss all the important considerations that will need to be made to legally and safely remove the asbestos. We follow all necessary precautions to make sure contamination doesn’t spread and that it’s thoroughly removed before allowing reoccupation of the building. If you’re considering making some renovations to your property, it’s important that you get the asbestos out first. That’s because during construction, asbestos fibers will be released in the air and then inhaled. Effects of asbestos exposure often aren’t apparent for many years – perhaps even decades – but you should still take every precaution to avoid exposure. Call AQHI, Inc at 800-481-8080 to keep everyone who enters your building safe from asbestos exposure. Did you know that just about every home built before 1978 likely contains asbestos? It’s true – asbestos wasn’t banned from construction materials until the late 1970s. Before then, it was one of the most popular substances in construction materials because it protects from fire, absorbs heat from friction, has high tensile strength as a reinforcing material, resists corrosion, and because it insulates from heat, cold, and noise. Now, asbestos can still be found in over 3,000 products that range from household appliances to construction building materials. Is your home asbestos-free? 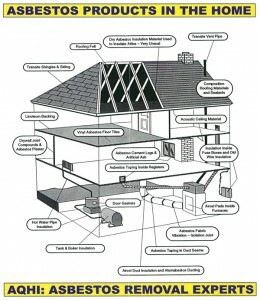 Check out the photo to discover potential areas of your home that may contain asbestos, and call AQHI, Inc at 800-481-8080 for a thorough evaluation of your home. If asbestos is present, we’ll find it and get rid of it! We use the most modern, scientific tools to determine the presence of asbestos in residential and commercial properties throughout Southern California. If we detect it, we’ll develop a plan to completely remediate the problem so you can breathe easily throughout your construction project. Keep your loved ones, employees, and whoever else might use your building completely protected from harmful asbestos exposure – contact AQHI, Inc for immediate service.